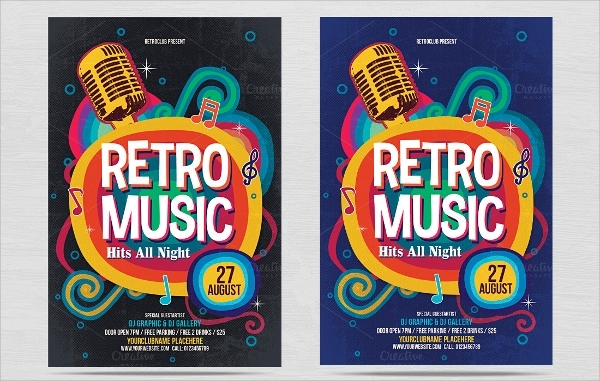 Recent trend shows that people are increasingly loving retro designs and flyers for that matter. 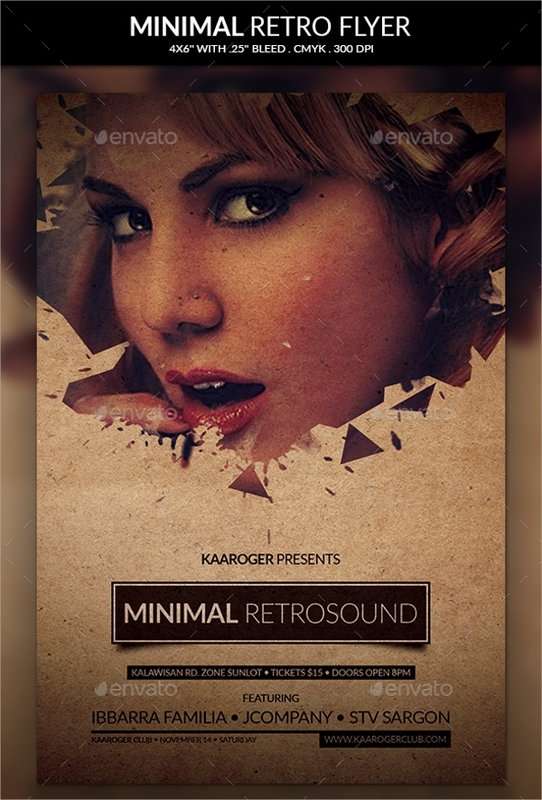 That is why retro Electro Flyer Templates are in so much demand and increasing day by day. 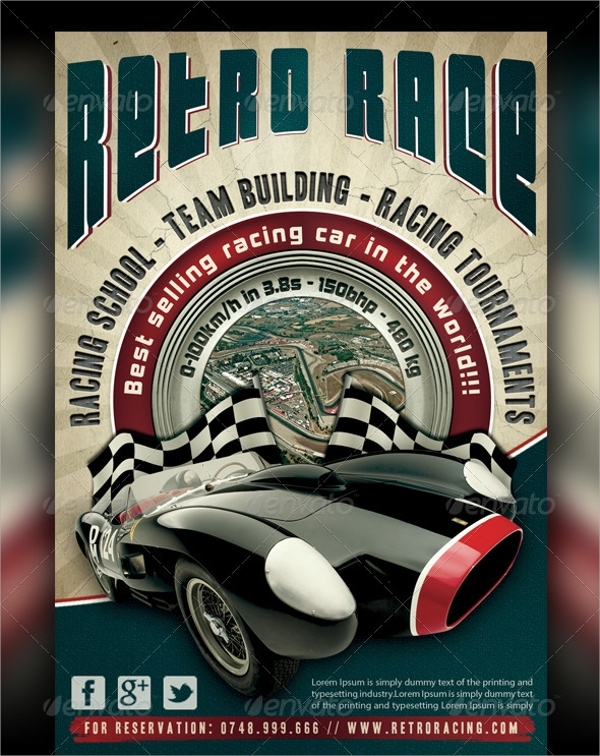 A retro design generally stands out in the crowd and is also soothing for the eyes. 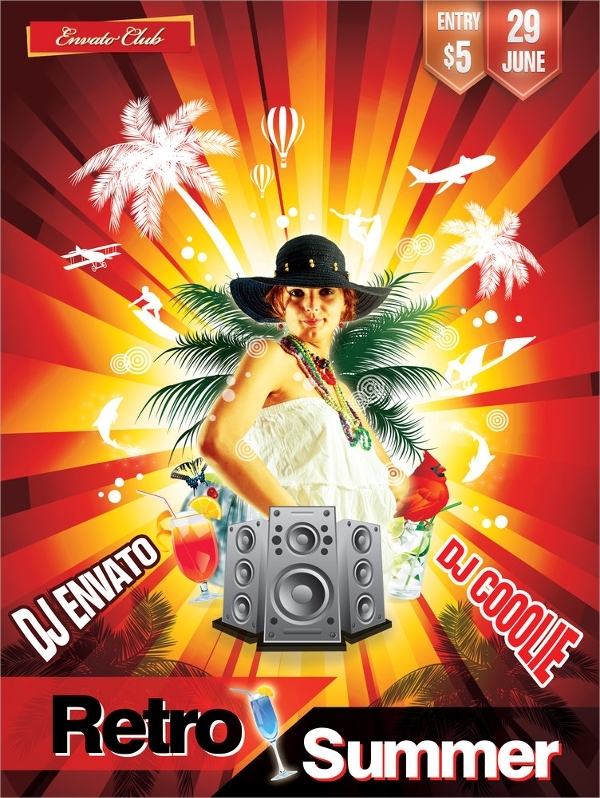 They are best used in musical and fun events such as night clubs, bars, discotheques, parties and similar activities. 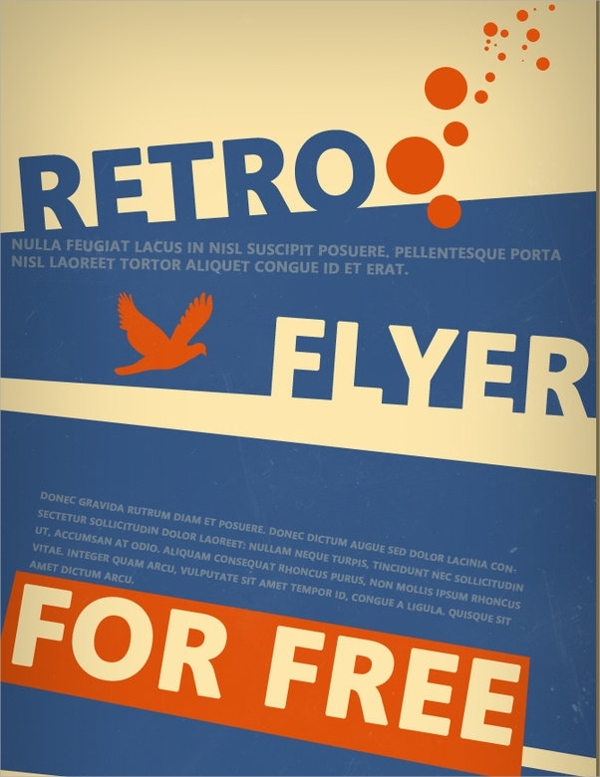 Some of them have 3D texts effect which is an added advantage for retro flyers. 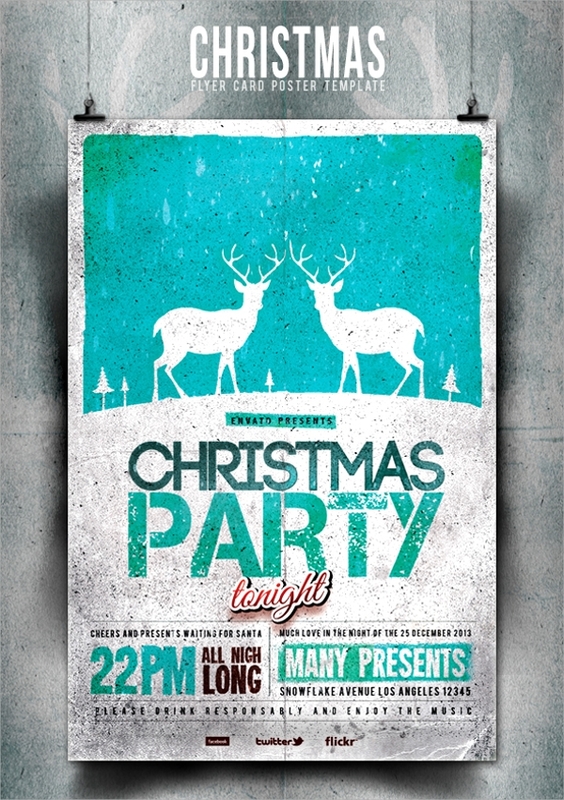 The texts have minimalist designs and are fully editable as it comes with well-organized PSD files. 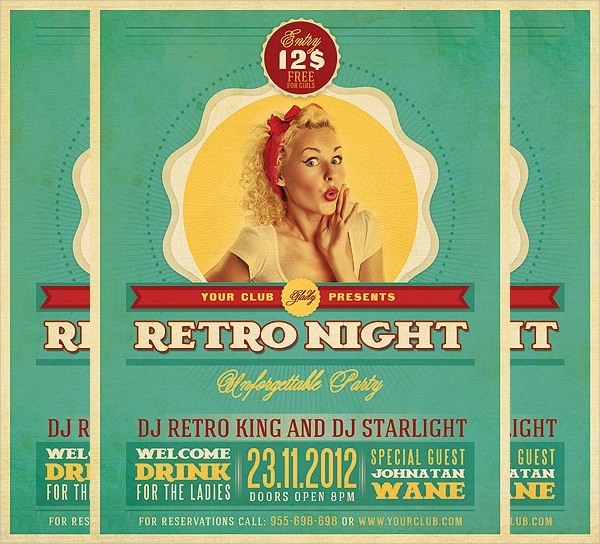 This world-class retro flyer template is fully customizable as an organized layered PSD file comes with it. It is very rich in design and colorful to catch eyes instantly. It is best suited for auditions and clubs. 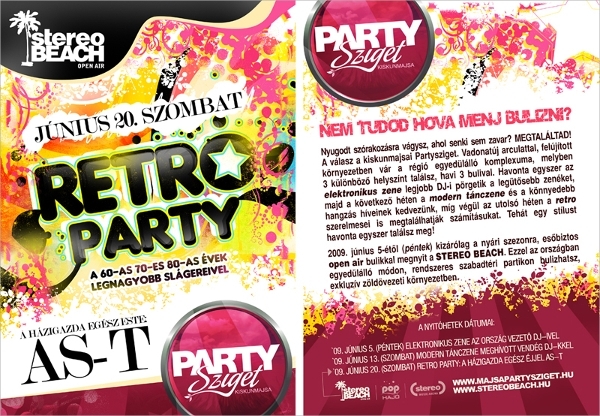 This retro looking colorful flyer has several components with different color combinations. The fonts are highlighting the contents well enough. Its size is 4 x 6 inches with CMYK mode. 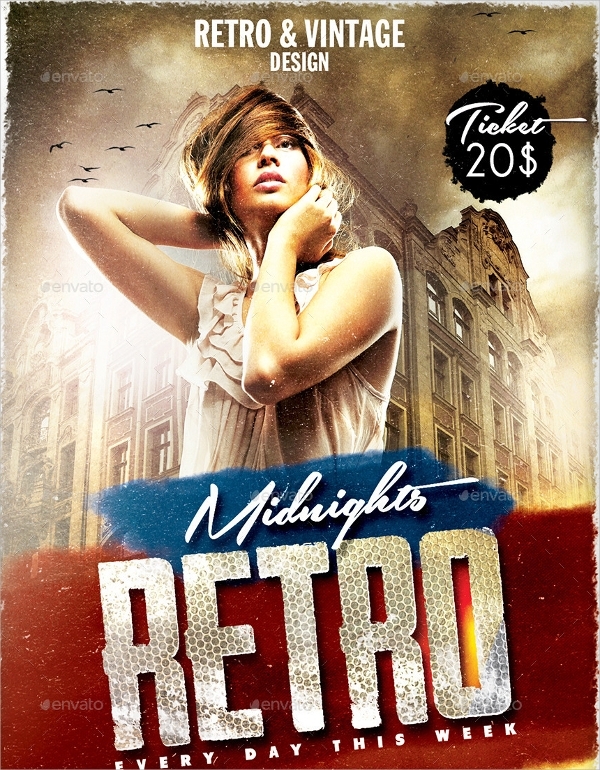 This minimalist designed flyer has a retro colored girl and diamond text fonts. 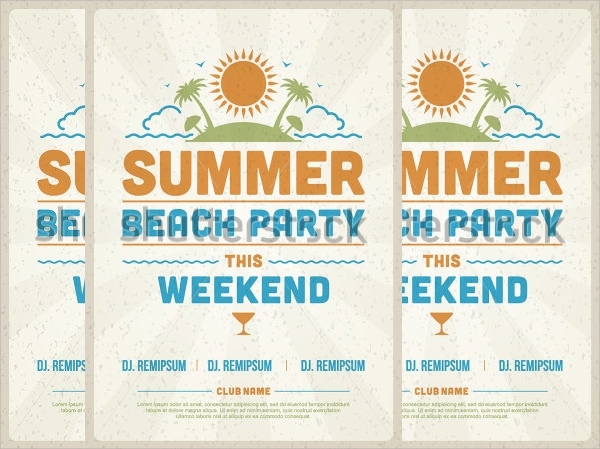 The fonts are very eye-catching and sure to make your flyer stand out in the crowd. PSD file helps in tweaking all its components. 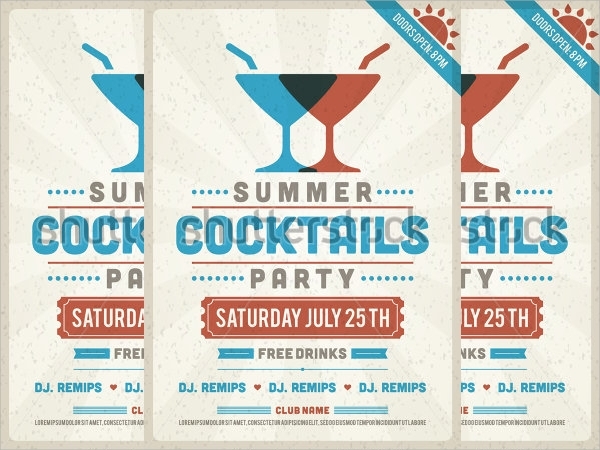 This simple yet elegant flyer has several divisions where text can be inserted. The fonts are not too weird and are quite stylish. The PSD file with a user manual will guide you how to edit for betterment. 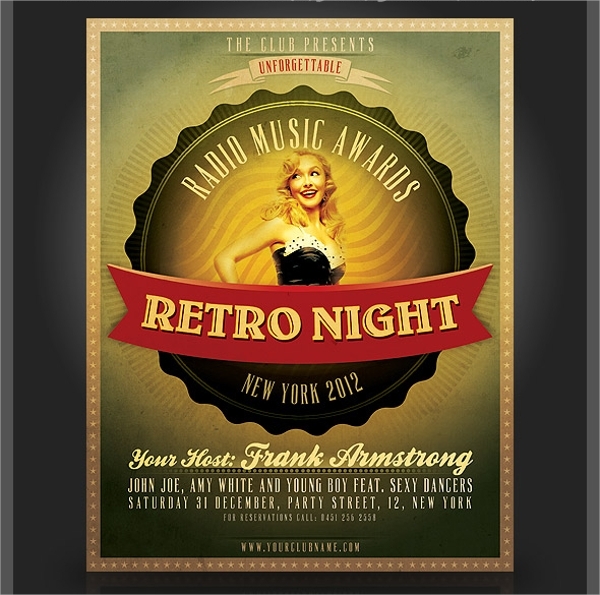 This amazingly designed flyer is retro in look yet quite eye-catch in design and presentation. 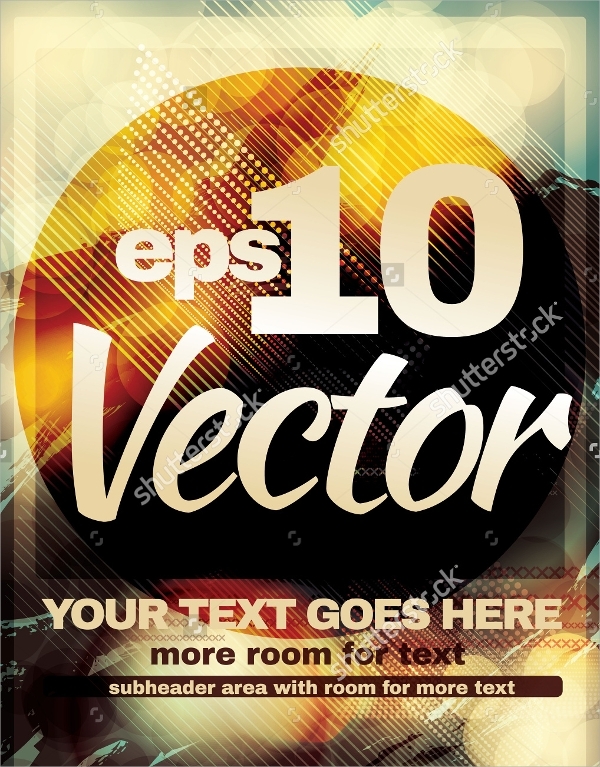 The contents are well highlighted and the objects are completely editable using PSD file. 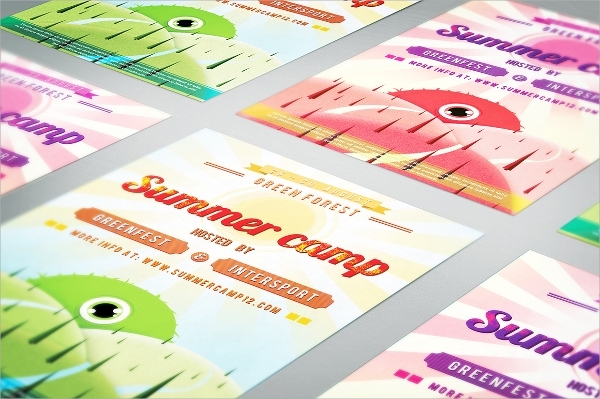 This colorful and wonderfully designed flyer is best suited for entertaining events. It is heavily designed and texts are highlighted with ease. The components are fully editable. 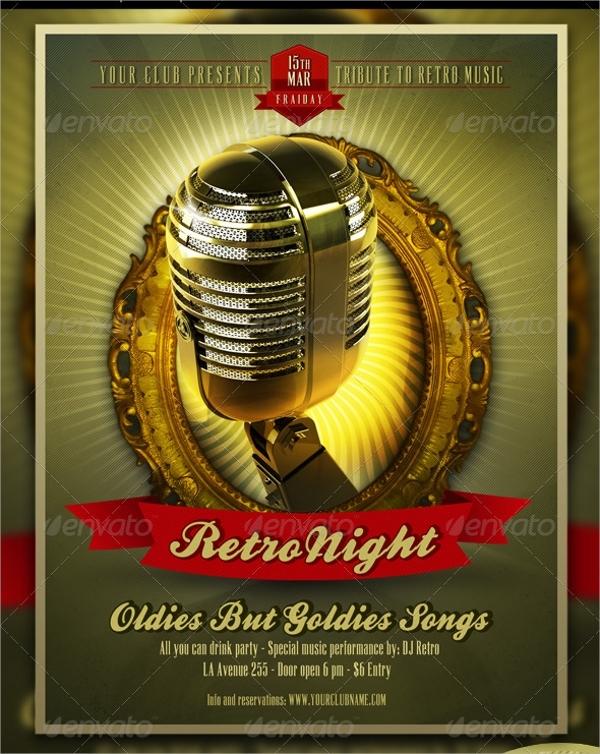 This simple yet elegant girlish retro flyer is best suited for clubs and party events. 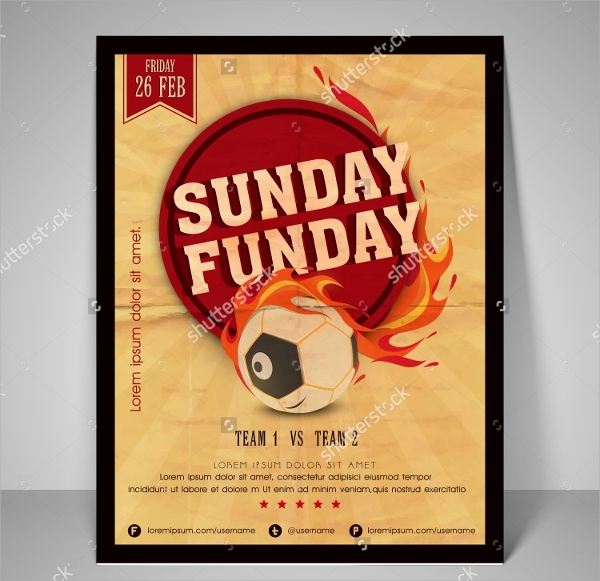 A fully organized PSD file is provided to tweak its design and color easily. Its size is 8.5 x 11 inches. It has a dimension of 8.5 x 14 cm with 200 resolution. This is simple in design and the components can be customized to match your need. Font files are also provided in the pack. 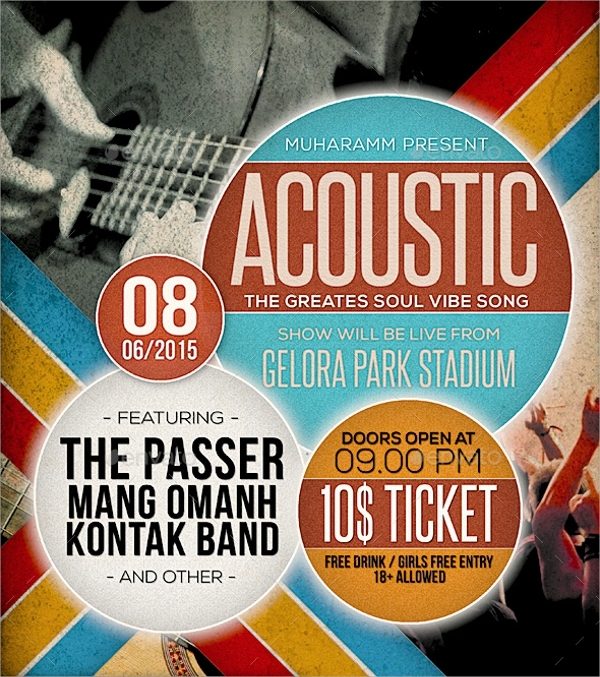 This simple yet eye-catching flyer has minimalist design and contents. The texts are well highlighted with a pictorial background which can be edited easily. 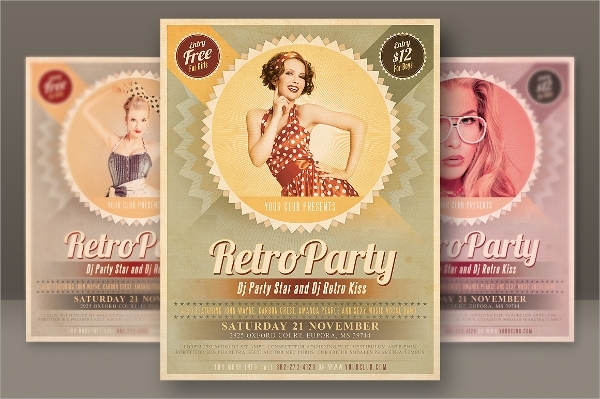 This retro party templates come in a pack of 6 differently designed flyers. They have a dimension of 8.5 x 11 inches. 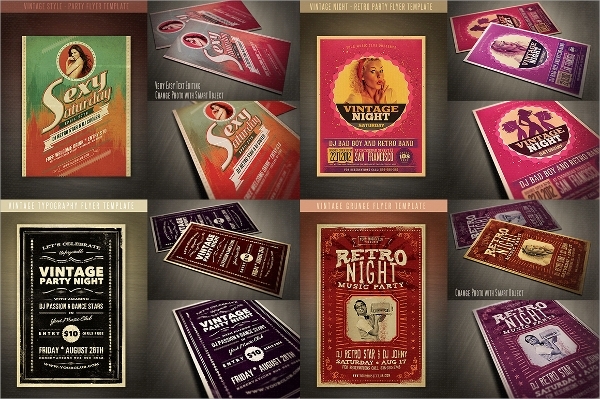 It can cater to all your needs regarding clubs, party, bar flyers. 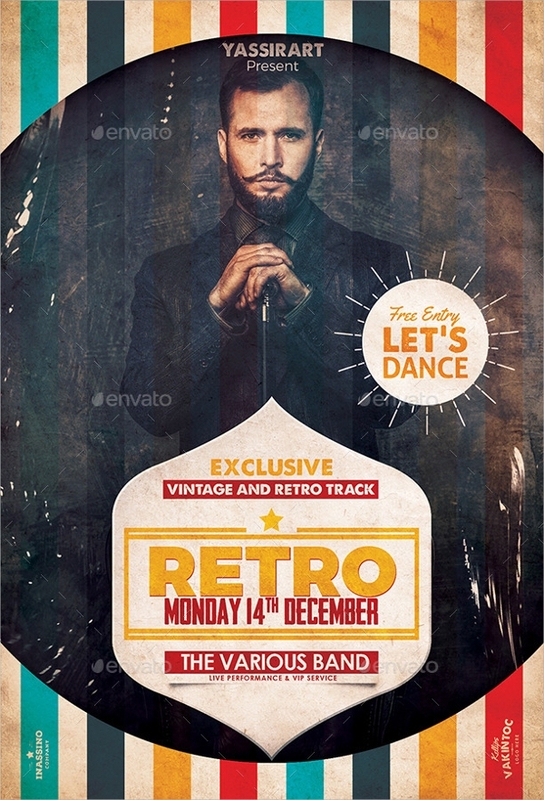 All the above –listed retro flyer templates are of high resolution and eye-catching. Great unique fonts and graphical effects on the texts make them amazingly beautiful for the eyes. Do make the best use of them as they have a wide variety to cater to any demands and needs.